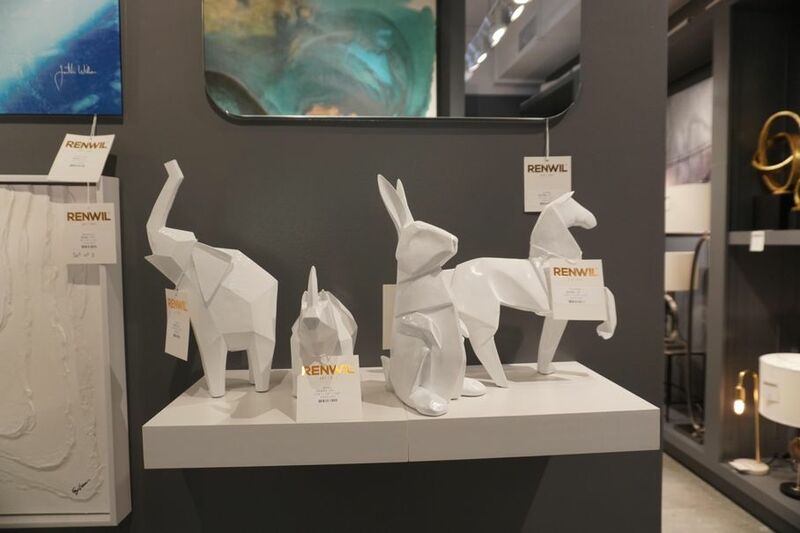 With individual expressions of on-trend stories, the artists at Renwil are manufacturing original art for the entire home. Renwil has found a way to produce fine art in a commercial setting, and the result is amazing. 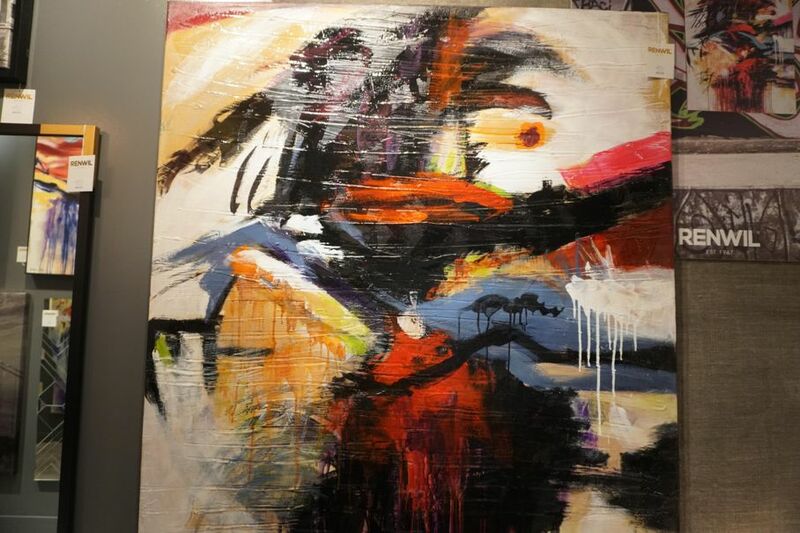 It all started in 1967 by founder Allen Wilner in a small studio with one artist. Since then, this Montreal-based company has grown by leaps and bounds in both size and ability. 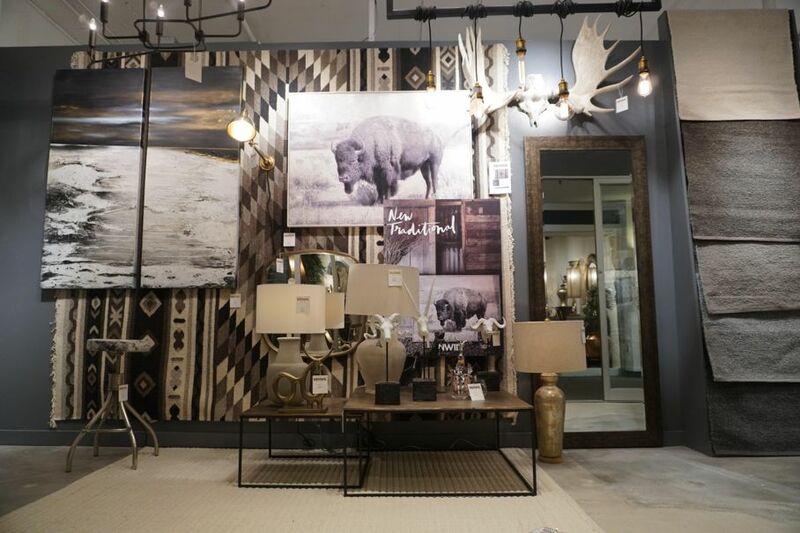 Today, they offer their one-of-a-kind artwork on everything from traditional canvas and paper to accent furniture, lighting, and mirrors. Alem Sklar, creative director of Renwil, manages a team of 10 trained artists who take her imaginative visions and use them to produce original designs. 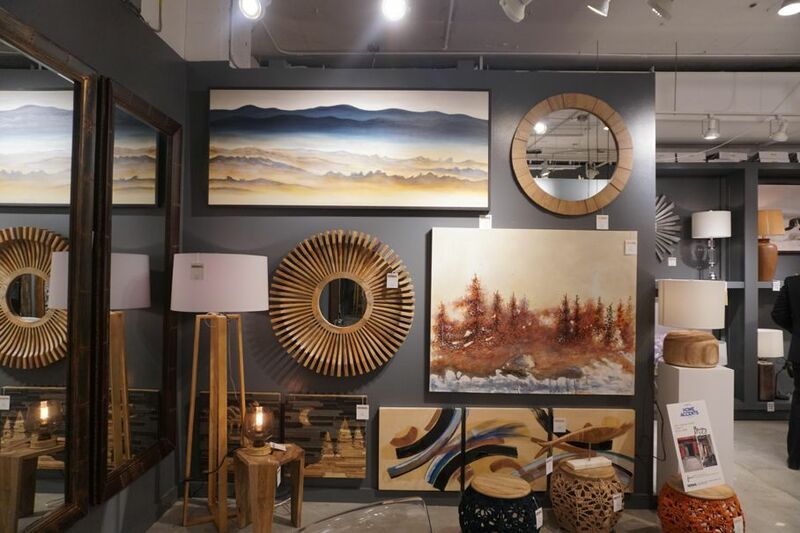 We spoke with Alem at High Point Market, and she was eager to discuss the quality of their artwork and the originality of every piece. 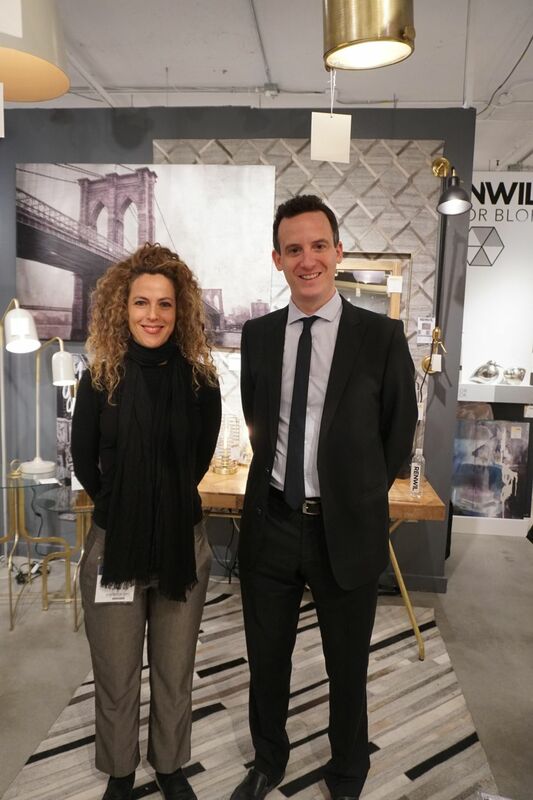 What we ultimately found so special about Renwil is that at the heart of this company there is a team of artists who also just happen to manufacture. 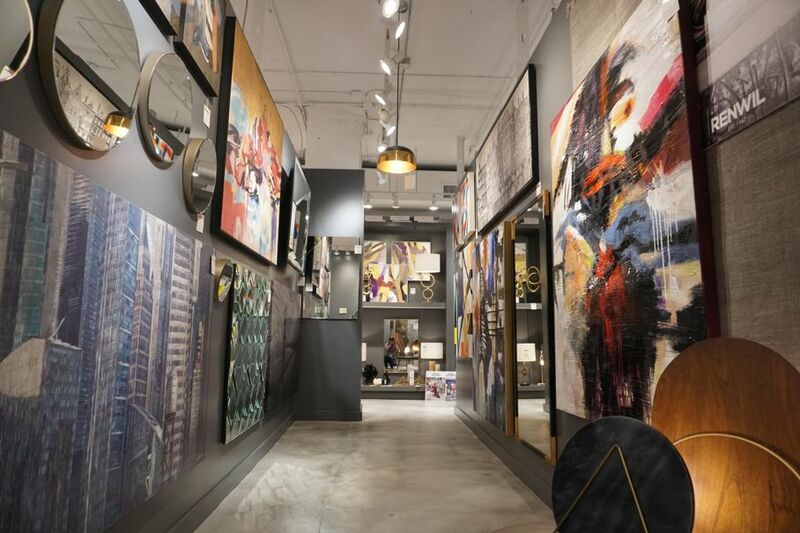 It’s a novel concept with big potential for homeowners looking to add a curated art gallery atmosphere to a home or office but don’t have the capital for museum-bound pieces. If this sounds like you, don’t hesitate to check out Renwil’s collection. 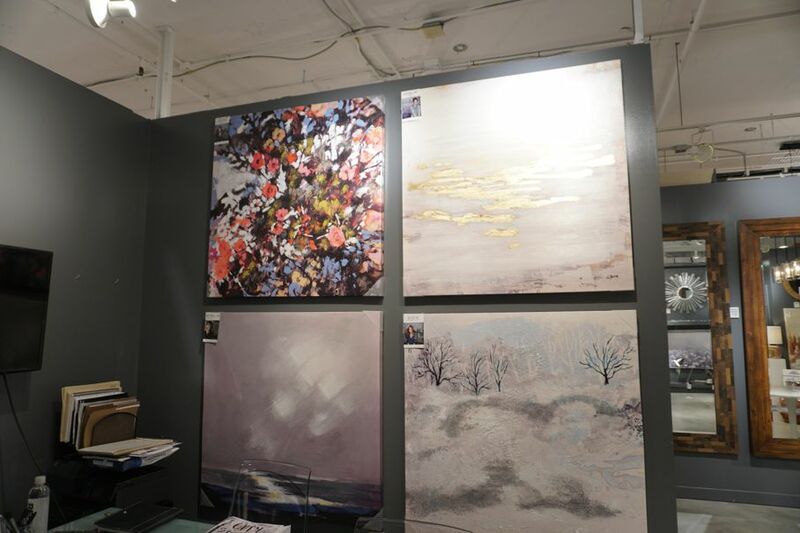 The 10 artists that create the artwork for the Renwil collection are the heart and soul of the company. But they’re not just there to mass produce generic pictures. In fact, they’re all trained and have a background in fine art. Commercial art is definitely not something many of these artists thought they’d be working on, but that’s what is so interesting and unique about Renwil. The company allows them the creative freedom to do what they want with the stories and trends they need to share. It sounds hard to try to control the direction of the art, but that’s where Alem comes into the picture. All the artwork made and sold by Renwil is meant to tell a story, which is something Alem finds extremely important. Every year, the team curates five different stories and turn them into separate collections. As the artists use these categories to tell seasonal stories, Alem works to find the best art from that season and build from it. “We curate products from the best of the work that’s created,” she says. One of the most significant trends Alem and her artistic team are working on is incorporating elements of Bauhaus, a revolutionary 1920s German concept. Moving forward, Renwil has no plans of slowing down production. They’re going full steam ahead with both the Bauhaus inspiration and are also brushing up on their other pieces. Since their work is so focused on staying on trend or even ahead of the curve, Alem is dedicated to adding new trends into their upcoming compositions. “Part of good design isn’t just about matching, but coordinating,” she says. By coordinating as opposed to matching, it’s easier to get the feeling of a designer home because it appears as though the pieces were collected over time. “It’s all about being authentic and eclectic while still being chic and sharp,” says Alem. Another trend you’ll be seeing more of from Renwil is the reintroduction of the color brown. That means that shiny gold is making way for antique brass, and champagne is taking silver’s place throughout the home. With artwork that is beautiful and comfortable, original and trendy, Renwil is solidifying itself as a force within the manufactured art world. Alem describes art was the jewelry of the home, and we couldn’t agree more. Renwil is truly making the jewels for our homes.